Tractor trailer accidents occur far too frequently in California. According to data collected and published by the California Highway Patrol (CHP), more than 5,400 people were injured in commercial truck accidents in the state in 2014 alone. Tragically, there were also 279 reported truck accident fatalities in that year. 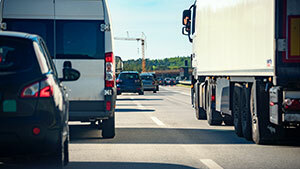 Injured truck accidents victims are entitled to compensation for the full extent of their damages. Unfortunately, the big trucking companies and their insurance providers often make financial recovery challenging. 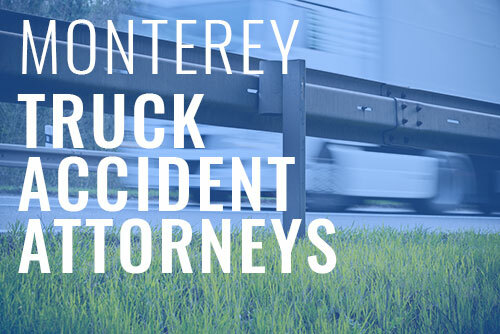 At the Allen Law Firm, our Monterey and Santa Cruz truck accident attorneys help injured victims fight back. We have the skills and experience needed to hold negligent truck drivers and trucking companies accountable. If you or a loved one was hurt in a tractor trailer crash, please contact a member of our law firm today for immediate assistance. Following a serious semi-truck accident, it is crucial that injured victims take the proper steps to protect their health and their legal claim. Report the collision to the appropriate state or local highway authorities. Seek immediate medical attention — remember, emergency medical needs should always come first. Take proactive steps to document the crash. You should try to obtain as much evidence as possible, including photographs, identifying details about the truck and truck driver, and witness contact information. Consult with an experienced California truck accident lawyer before speaking to an insurance adjuster. You should not give a statement to the trucking company’s insurer. In some cases, the accident may be due to a defect in the design or the manufacturing of the big rig itself. In such cases, the truck’s manufacturer or owner may be liable for the accident under a standard of strict product liability. Conduct adequate pre-trip and post-trip safety inspections on their fleet of trucks. If you or your loved one was hurt in a trucking accident in Monterey, CA or Santa Cruz, CA, it is imperative that your case is reviewed by an experienced personal injury attorney. Your lawyer will be able to determine if safety violations by the truck company contributed to the crash. Negligent companies must be held accountable. Our trucking accident lawyers are here to help you hold the negligent trucking company accountable. If necessary, file a personal injury lawsuit on your behalf. Finally, with our California truck accident lawyers, there are no upfront costs or hourly fees. We will only get paid if you win your case. At the Allen Law Firm, our California truck accident lawyers have helped many victims recover full and fair compensation for their injuries. If you were hurt in a tractor trailer crash, please contact us today for a free legal consultation. With offices in Santa Cruz and Monterey, we represent victims throughout California’s Central Coast. I Was Hit by a Truck. Do I Sue the Driver or the Trucking Company?